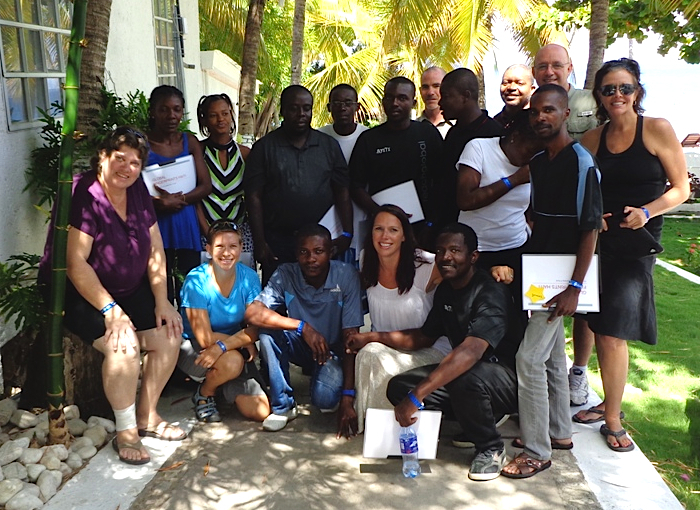 Mind if I relate a pretty cool story from our GlobalFingerprints team in Haiti? No doubt you’ve heard of the Ebola outbreak in Africa, with the epicenter being in the country of Liberia. Liberia is also home to one of our GlobalFingerprints programs. Word reached our Haitian team of how foodstuffs were having difficulty making it into the capital of Liberia in recent days. With stocks at all-time lows, prices have also skyrocketed, making it more costly for our GlobalFingerprints team to purchase the needed food for the children there. But what could these Haitians do? After all, they live in a country poorer than Liberia! Well, what they could do would be to start by donating over $600 from their Haitian “emergency fund” to help the Liberian children in the midst of their emergency. One of our Haitian leaders then asked that his entire salary for October also be sent to Liberia to help in this need. Lastly, they asked permission to put the need before their local church. And last Sunday, in this country considered by many to be the poorest country in the world, church members gave over $300 to help the children of Liberia. The only stipulation made was that it had to be known that this help was given… from Haiti with Love!